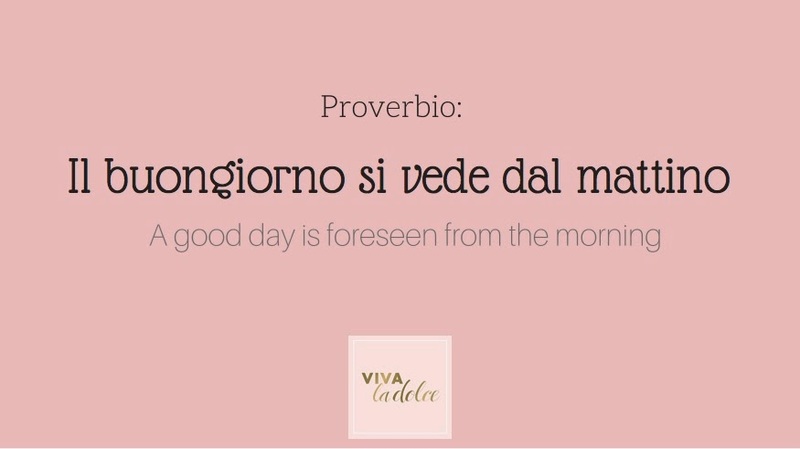 The second instalment in Viva la Dolce Italian language series, is a proverb which many of us can relate to. "Il buongiorno si vede dal mattino" literally means, a good day is foreseen from the morning; figuratively, this phrase means, you can usually tell how something will end, good or bad, by the which in which it begins. For example, if things start off well, then most likely they will end well, and vice versa. This phrase is not only applied when trying to interpret how one's day will go, but is often mentioned when speaking of things such as relationships and projects as well. Italians are known to use the phrase with "se," meaning "if," placed at the the beginning so that it reads, "Se il buongiorno si vede dal mattino..." When used in this way, a statement or joke about something is often being made. 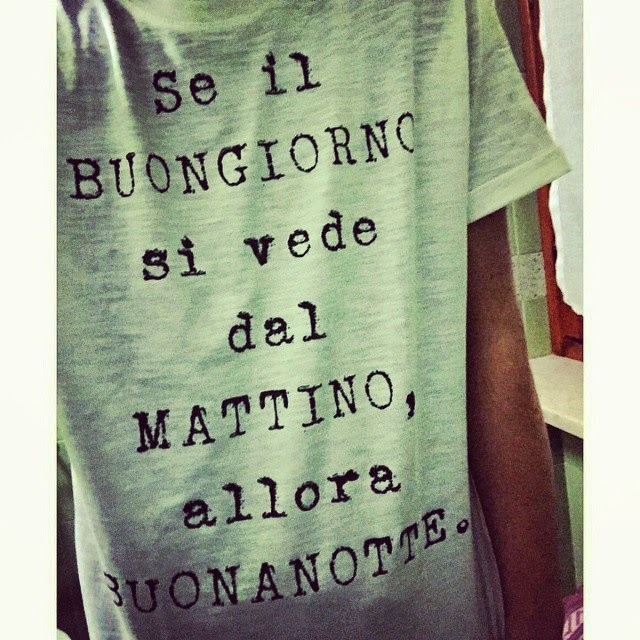 "Se il buongiorno si vede dal mattino, allora buonanotte." "If a good day is foreseen from the morning, then good night." The phrase on this t-shirt jokingly refers to the feeling of wanting to crawl back into bed, go to sleep and avoid dealing with the rest of one's day.